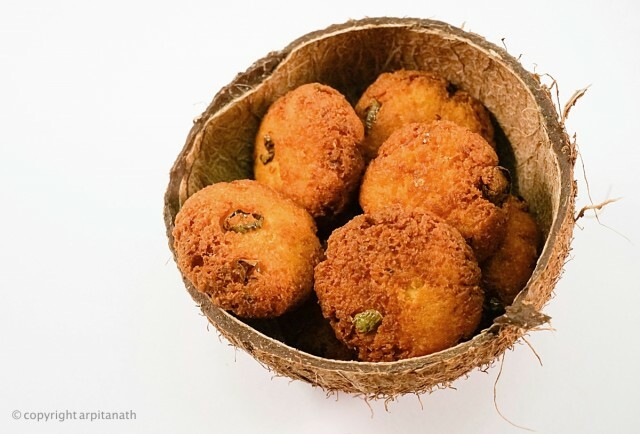 Coconut Pakora or Narkoler Bora is a very popular recipe from Bengal. 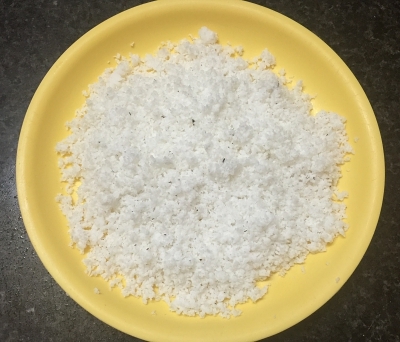 It is very easy to prepare and is much similar to our regular pakora dishes but with a different and delicious taste of coconut. This pakora is crispy from outside and juicy from inside. It can be served with chutney or with daal and rice. 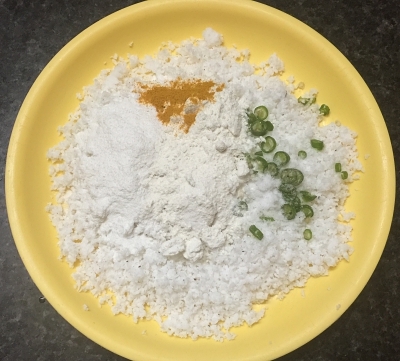 Add all-purpose flour, salt, turmeric powder and chopped green chilli into grated coconut and mix until it forms a nice dough. Do not add extra water to make the dough. 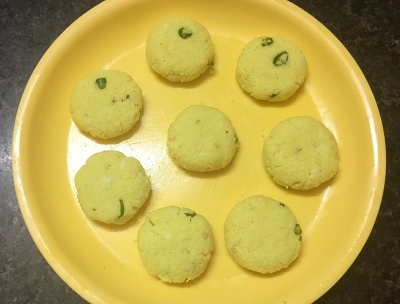 Divide the dough into 8-10 equal size balls and slightly flatten them with the help of your palm. Heat oil in a heavy bottomed pan. 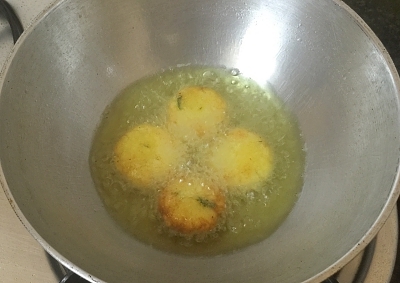 When the oil is medium heated, put the pakoras into oil and fry them until become light golden brown in colour. Fry them on medium to low flame. Drain oil and serve hot. 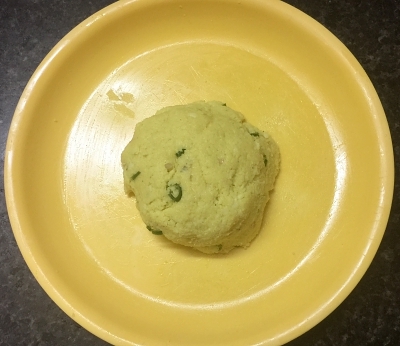 Do not add too much of flour into the pakora mixture, or the pakoras will become hard and dry. 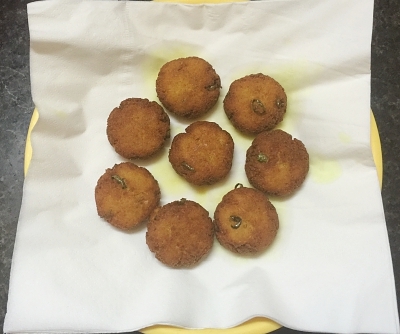 You can also search for more Snacks recipes like Kakroler Pur, Beguni or Eggplant Pakora, Pumpkin Flower Pakora, Dhania Pakora.